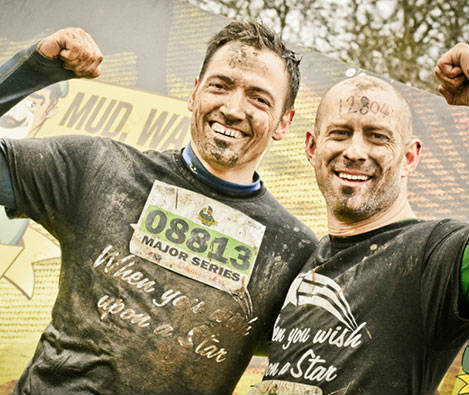 We had so much fun wading through water and mud at the Major Series last year, we’ve decided to do it again. And we’re now asking our customers to join us to raise money for our Charity of the Year. Registration for the event ends this Monday – the 29th February. We are offering to pay half your registration fee and you’ll get a free T-shirt. Please do get in touch and join us for one of the best obstacle races in the country! Who? Brave friends of Strata, who aren’t afraid to get dirty! Last year, a team of 36 took part in the event including Strata employees, friends, family and members of our supply chain. Together, we raised just under £8,000 for national charity When You Wish Upon a Star, granting wishes for children with life threatening illness. This year we’re raising money for Little Hiccups, a Leeds-based support group for parents and families of children with special needs. You can read all about this amazing cause here. Please join us for some muddy fun in the park, and let’s raise thousands of pounds for Little Hiccups!